Bus Stops Between Marbella and Estepona. This is the Parque Antena bus stop. 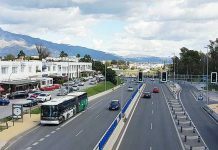 The L79 Marbella to Estepona bus follows the A7 coastal road on the inland side from Marbella to Estepona and on the sea side of the road from Estepona to Marbella. 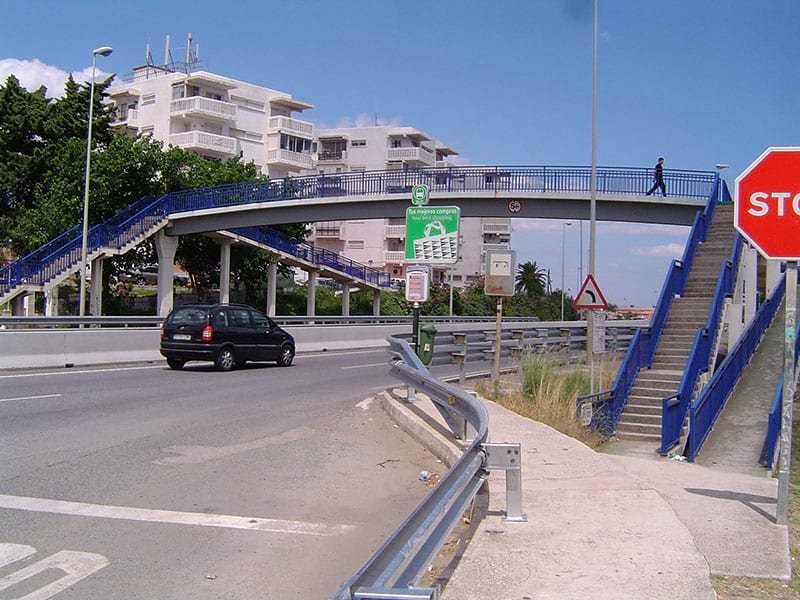 When using any of the bus stops between Marbella and Estepona always use an underpass or footbridge. The A7 is lethal and the road traffic travels far too fast. Please note the Malaga airport bus to Estepona does not stop at any of these bus stops. It only stops at Marbella bus station and then again at Estepona bus station. From Marbella bus station the L79 bus crosses the A7 bypass behind Marbella and then onto the Ojén road down towards the sea. It then swings right onto the main road through Marbella heading towards Estepona. RESTAURANTE TONI DALLI In front of Oasis Commercial Centre. GRAN HOTEL PLAYA BELLA The Gran Playabella Hotel bus stop is next to a footbridge over the A7 (N340) for travellers from Malaga airport to Villacana Club Resort getting off the bus on the mountain side of the road. 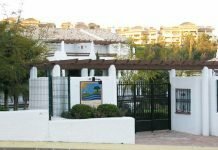 VENTA LOS NIÑOS Stop for Villacana Club Resort for bus travellers heading towards Malaga airport. PARQUE ANTENA Bus stop in the picture above. Parque Antenna apartments in background. EL PADRóN Hotel Kempinski stop. Underpass for pedestrians. MACDONALDS Macdonalds Restaurant in Estepona Get off at this stop if you are taking a long distance bus from the Estepona bus station. ESTEPONA BUS STATION The bus from Marbella does not stop at the Estepona bus station on its way into the centre of Estepona. The L79 bus from Estepona to Marbella passes along the Paseo Maritimo and then turns around at the Estepona Port. It then heads back towards Marbella. Entering Marbella it travels through the centre before heading up the Ojén road and then turning left towards the Marbella bus station. 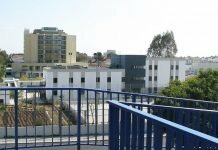 Travelling on from Marbella to Fuengirola and need all the bus stops?